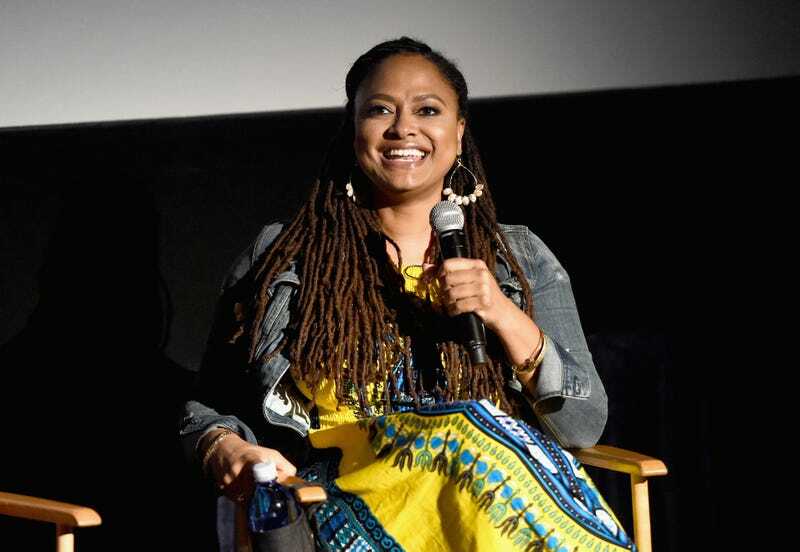 Honoree Ava DuVernay speaks onstage at Spirit of Independence during the 2016 Los Angeles Film Festival at Arclight Cinemas Culver City June 4, 2016, in Culver City, Calif.
Queen Ava DuVernay is making another mark in the history books and will be the first African-American woman to direct a live-action feature film with a budget over $100 million with A Wrinkle in Time. According to Time, DuVernay shares the accomplishment with only two other women: Kathryn Bigelow, who was the first to land a big-budget film for the 2002 K-19: The Widowmaker; and Patty Jenkins, who is directing Wonder Woman, which will come out in 2017. Oprah Winfrey, who will be starring in A Wrinkle in Time, took some time out Wednesday afternoon to congratulate DuVernay on Twitter. Of course, DuVernay returned the love, giving a shout-out to Oprah for being a "serial shatterer of ceilings that we can all look up to."